﻿ November « 2013 « Haikasoru: Space Opera. Dark Fantasy. Hard Science. Greg wins, because nothing is spookier than a playful ghostly child. Coming in next is Kenneth Hite, who tells us a classic little ghost story. And it includes cats, so it is clearly For the Internet. Then there’s Stephanie F, who certainly deserves something for experiencing real-life night terrors. Farklebarkle gets a book too, for living in the Witch City of Salem MA, and experiencing some real-life ghosts while there. And Brandi Weed reminds us of the master of the ghost story, M. R. James, with her comment. 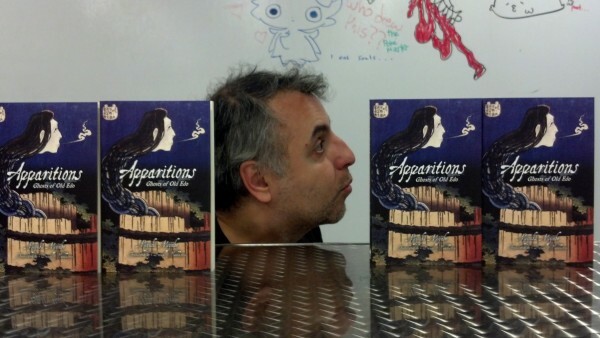 It’s the APPARITIONS giveaway contest! Halloween is over, but the nights are growing longer and the trees are bare-branched and bony. It’s still ghost season, friends, and you’re in luck! I’ve got four copies of Miyuki Miyabe’s historical ghost story collection Apparitions to give away! See? Miyabe is already well-known to you, dear readers. We’ve published three of her fantasy novels so far, and her thrillers are also available in English. But Apparitions, a collection of ghost stories about the Edo period and its mercantile system, is different. It’s creepy and it’s kooky. And all you need to do to win a copy is to tell me of your favorite ghost story—a fictional one, something you experienced, a local legend—right here in the comments to this post in about 50-100 words. As always, we also accept senryu and haiku and other poetic forms, as well as entries in Japanese, Spanish, Chinese, Greek, and German. Then on Friday at around noon, we’ll pick the four we like the best and send out the books. We ship anywhere, so don’t worry about the cost if you live on some other continent.